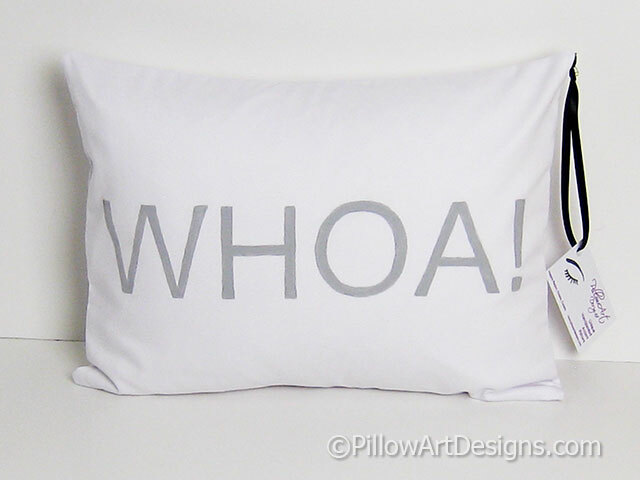 Pillow cover with the word Whoa! 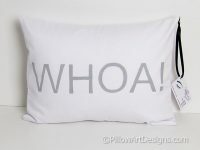 painted in bold letters on the front. Cover made to fit a 12 inch X 16 inch insert (not included). 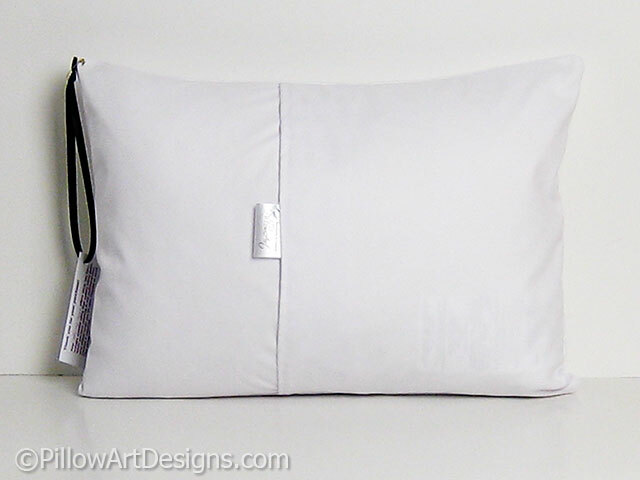 Outer fabric is white cotton twill, fully lined with 100% cotton. For best results, spot clean or hand wash in cold, lay flat to dry. If ironing, avoid painted areas with hot iron. 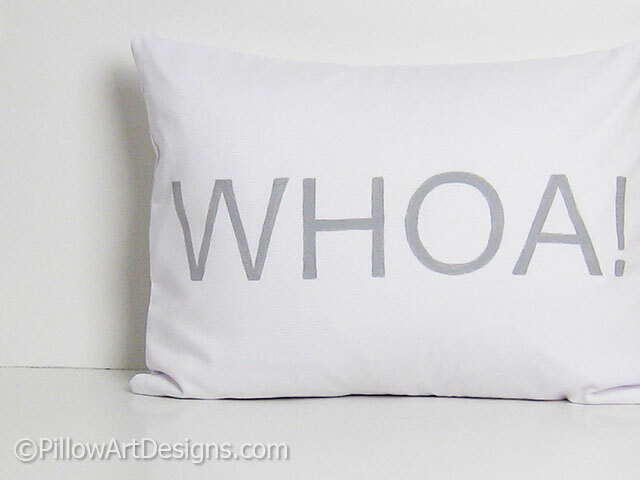 Like the design but need a different colour word? Contact me here, I can make one especially for you.